Thanks so much for your question. So as always, I am a Ph.D. and not a medical doctor and so it is excellent that you are working with your medical doctor. It may also be helpful to work with a naturopathic doctor or chinese medicine doctor as well. You can help to clear your intestines by making sure you get enough fiber, getting regular exercise and drinking half your bodyweight (in pounds) of water (in ounces) a day. 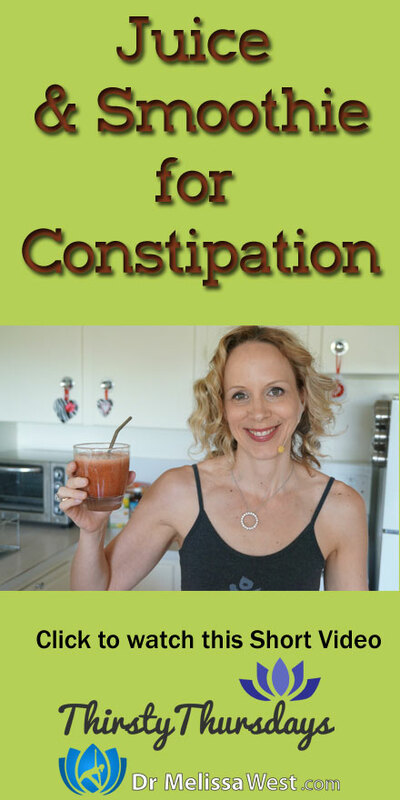 Today we will create a juice that is a natural laxative. Rhubarb stalks are a natural laxative. We will juice it will strawberries which are sweet and are high in fiber. Strawberries are used in cleansing juices and are a mild tonic for your liver. 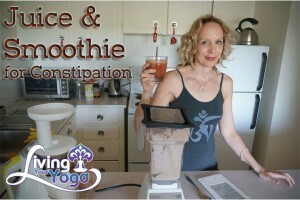 If you are hungry it may be more useful to create a smoothie for constipation because that will fill you up while at the same time help to clear out your intestines.